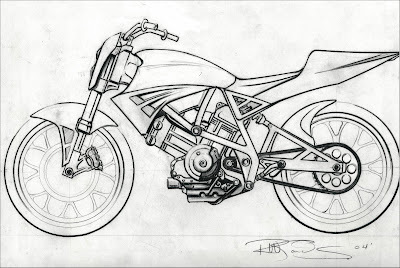 I like to go through my old bike sketches and see what I was dreaming up 5 years ago. This was one of the projects I always wished I would of done but just never got around to doing. It’s a TL 1000 RR based street tracker. I had a frame for it but the guys at Suzuki flat track took it back because they needed to re measure it or something… I never got it back and she never got built. Hey Suzuki… give me that frame back !! !